“Usually when he says that, I do it,” Morgan explains. And she did it at the top of Corbet’s, nailing the run. When she was seven years old. Don’t let the fact that Morgan, at such a young age, successfully skied Corbet’s Couloir, known throughout the ski world simply as “Corbet’s,” fool you. The run is a test piece for North American skiers. 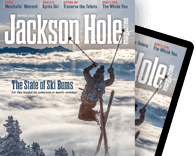 If you’re an expert skier and tell a fellow skier you’ve skied Jackson, chances are the first question he or she will ask is, “Did you ski Corbet’s?” If your answer is “no,” chances are the conversation will veer back to last weekend’s game. If the answer is “yes,” chances are the asker will nod with approval and awe. Rock walls guard the couloir. 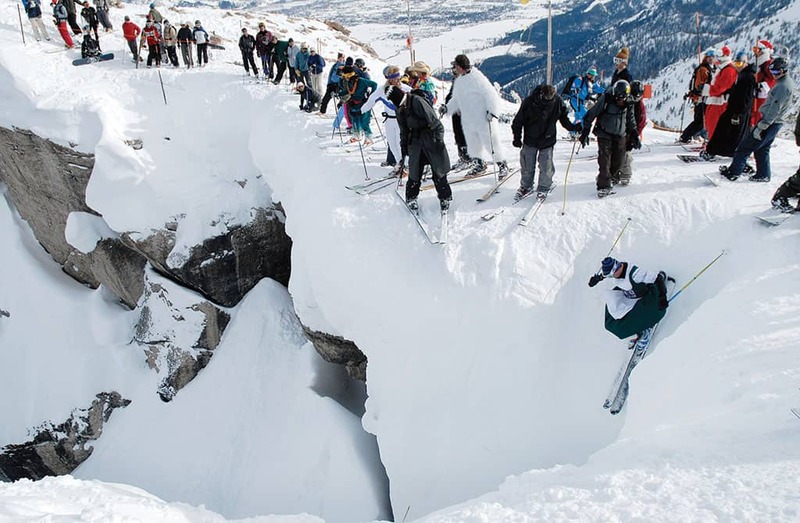 Whether you “ease” yourself in, as was possible in the huge winter of 2010-11, or have to take the straight-line plunge off the cornice at the top, once you are in, there’s no turning back. The entrance and first turn—if you don’t immediately make a hard right, you’ll smash into the western rock wall—are the toughest parts of the run. Make it past those and things get easy, relatively speaking: the fifty-some-degree pitch mellows out to forty-some degrees and the couloir widens. Often, its middle and bottom are choked with powder sloughed off above, a reward for making it that far. That somebody was Lonnie Ball, a nineteen-year-old ski patroller. He did it the second season the resort was open. Ball did not ski it on purpose but fell into it and, landing upright, figured he should just keep going. Since then people have done it on snowboards, telemark skis, and even monoskis. It’s been skied by someone wearing a costume that made them look like a slice of pizza.